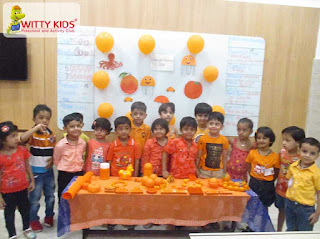 Tiny tots of Jr. Kg. 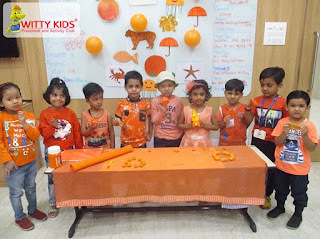 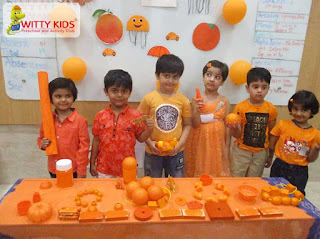 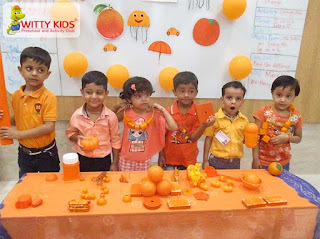 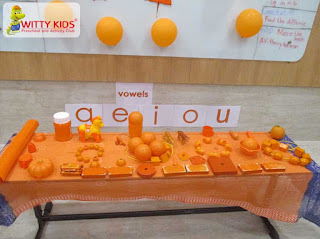 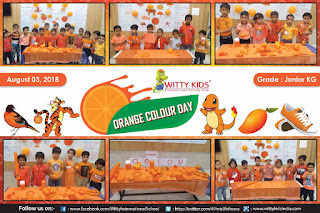 of Witty Kids, R.C Vyas colony , Bhilwara celebrated Orange Day on Friday, August 3, 2018 with a sole objective to acquaint the little ones with the concept of this secondary colour and objects related to it. 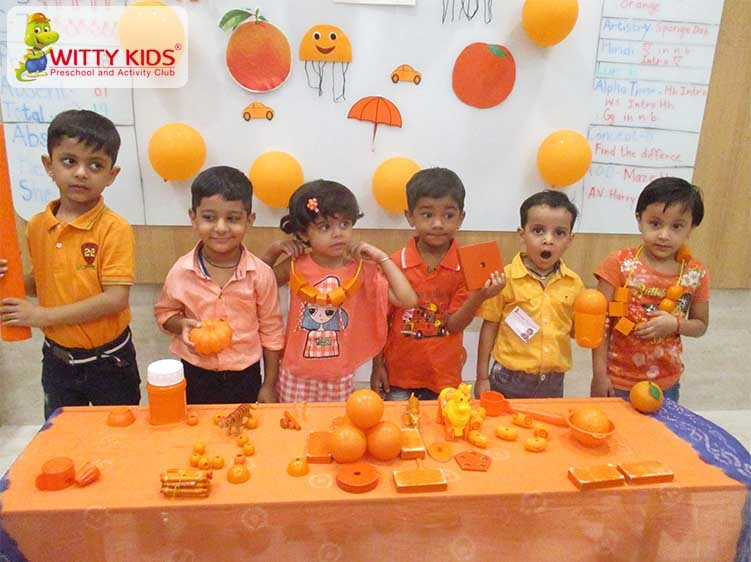 The children were exposed to a series of creative activities to help them understand the positive impact of orange. 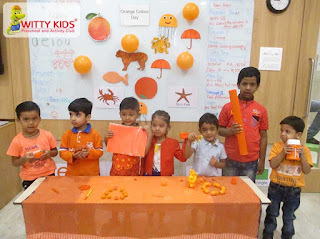 The teachers and children both in harmonious shades of orange enjoyed creating the hues and tints of orange colour by blending red and yellow colour. 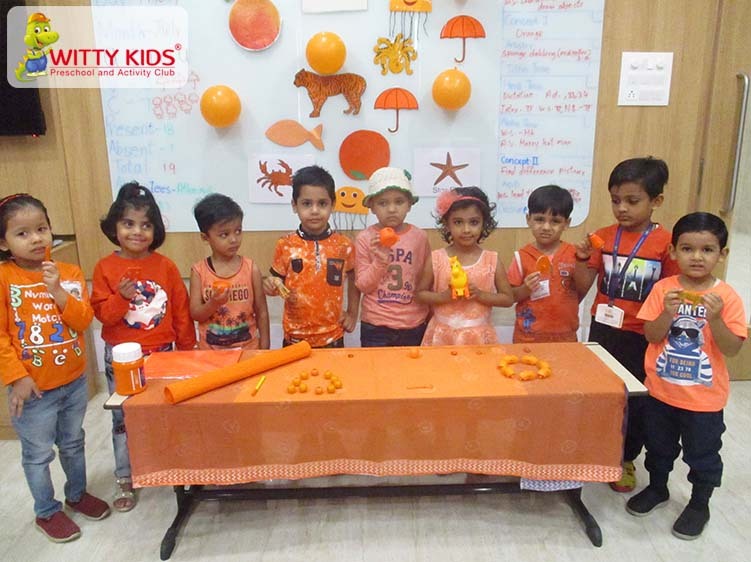 A dynamic and stimulating learning environment was created to help the little ones explore their imagination and creativity through meticulously organized drawing and craft activities. 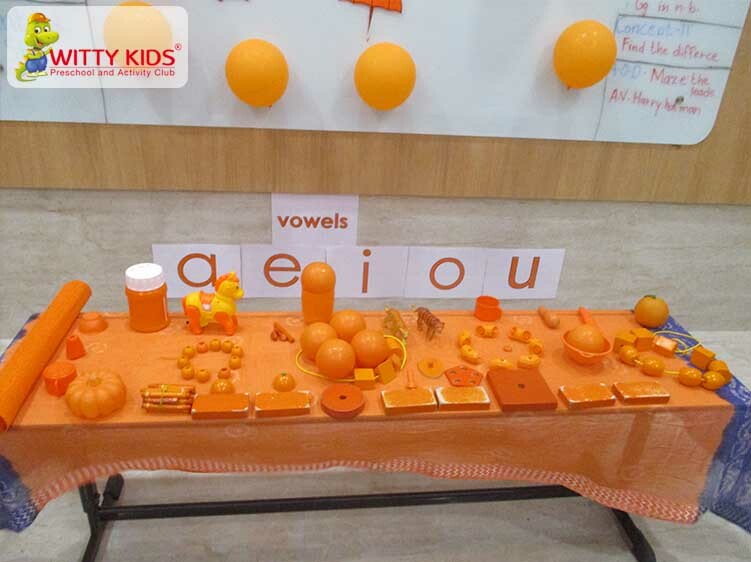 The children learnt to create the cognitive link between visual clues and words. 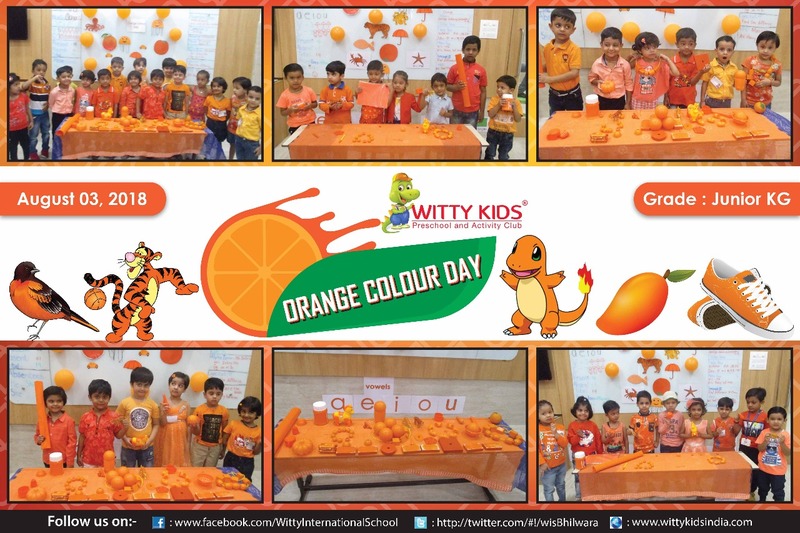 The children enjoyed a lot and it was indeed a pleasure to witness the little ones dressed in orange bubbling with energy and fascination.